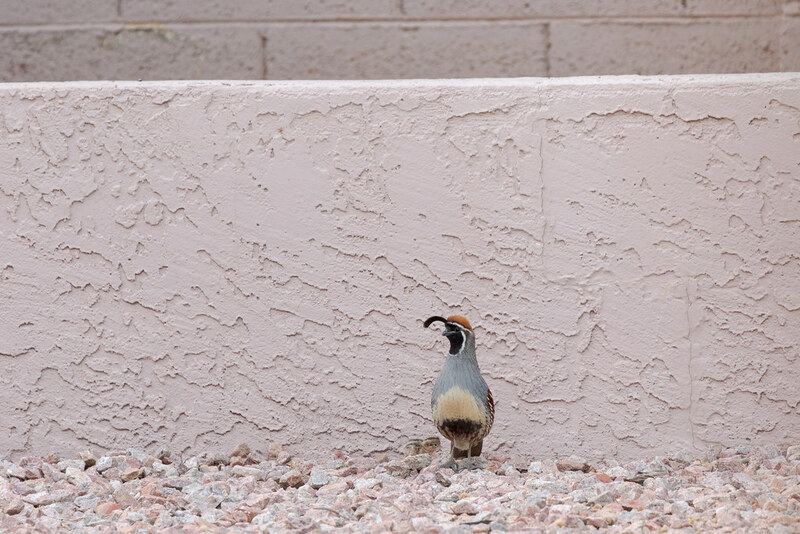 A month ago I thought I saw a mouse running along the fence in our backyard but to my horror realized it was a baby Gambel’s quail. A male and female had been bringing their eight (!!!) tiny chicks to our backyard but somehow this little one had gotten isolated from its family who were nowhere to be seen. Life is hard for wildlife, even in backyards, especially so for the young. I thought this story would end in heartache. I refilled the bird feeder in hopes it would attract the parents and spread out some of the small feed the chick could eat in various places where it could feed away from the larger birds. Eventually it went over to the bird feeder and started following a towhee around, who was rather annoyed with this little chick that wouldn’t leave it alone. It was hard to watch. Then dad flew in. He settled in under the feeder and sheltered the little chick with his body. The scared little chick began to relax, sometimes hiding completely under its father and sometimes venturing out to feed, but never out from under his shadow. I was relieved until the father led the chick over to the corner of the yard and leapt up onto the little retaining wall and then onto the larger wall behind, trying to get the chick to follow. The chick was far too young not only for flight but even to jump, so all it could do was chirp at its father and frantically run beside the wall. This went on repeatedly until I thought the father would abandon the chick and return to the rest of the family in their nest somewhere in the neighborhood. 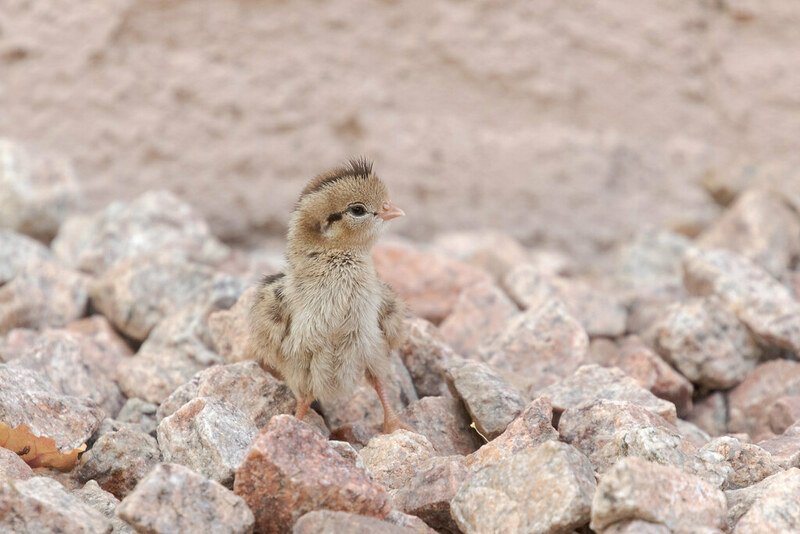 Instead he settled into the corner of the yard, laying down in the gravel with the chick safely underneath. Eventually the chick got enough courage that it began to playfully run up dad’s back until it finally settled under its father for good and they spent the night in our backyard. They were gone before I got up for work (the side gate has a gap plenty large enough for the chick to get under, that’s how they were getting in and out of the yard before). The gang of eight (and mom and dad) are regular visitors to our feeder (they’re there now as I type this), the chicks grew impossibly quickly and are now about the size of the adults and can not only hop but fly. In the early days mom and day would chase all the other birds away from the feeder to allow their chicks to feed but the youngsters are bold and old enough now that the parents allow the other birds to stay. On this Father’s Day, a story of a terrified child saved by his devoted father. But on this day too my government tears children from their parents at our borders. Defends it with Bible quotes, like the Christian slavers before them. We need not be monsters, America. Let’s save those who are lost, and rejoice in it. 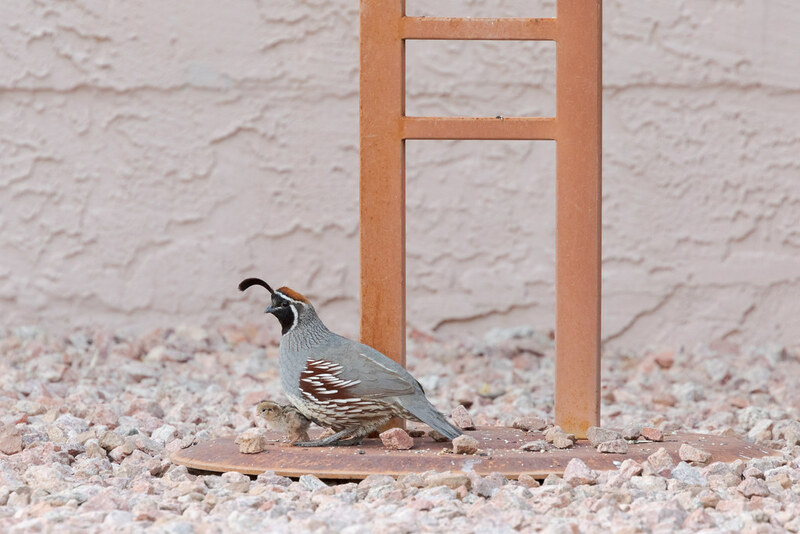 This entry was posted in Birds and tagged Arizona, baby, backyard, bird feeder, chick, Gambel's quail, Scottsdale. Bookmark the permalink.